In bigblueboo‘s Argument Champion, your goal is to win the hearts of your audience by making positive connections to your idea and negative connections to your opponent’s idea. This is done via a simple word association minigame, but it’s not the minigame that’s clever, so much as the way it’s tied to the game’s central premise that arguments are won by appealing to emotion. The ideas themselves are, as evidenced by the hilarious scenario depicted in the above screenshot, largely inconsequential. This game was released in 2012 for one of the A Game By Its Cover game jams that was inspired by the original AGBIC competition held on the TIGSource forums. Seems like Transhuman Design has been busy, with multiple games being developed by multiple teams in the group. Best known for their team-versus-team games like Soldat and King Arthur’s Gold, one of their upcoming projects that caught my eye is a gory 2d run n’ gun called Butcher that looks and feels like a gratuitous hybrid of Abuse (the old DOS game by Crack Dot Com), Doom, and Liero. 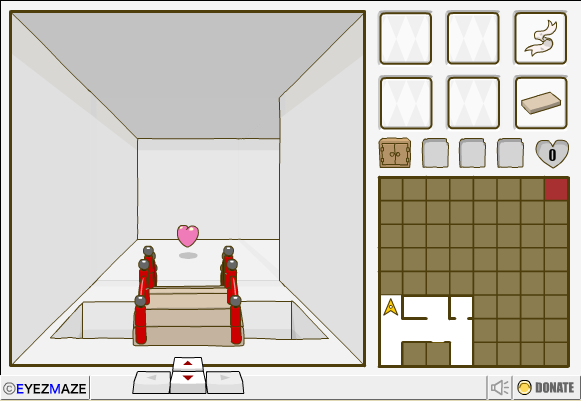 The prototype – a short, three-level demonstration – is available to download for Windows and Linux and is also playable in your browser (Chrome recommended). Do you want to shoot words, bullets, or missiles? This is socializing brought to you. Pocket Fleet is a MMO space arena shooter with different modes of play and a growing, global community. It is the latest release from Overdose Caffeine: a Turkish group of developers focusing on mobile and browser based games. Edit: One of the developers wanted to point out that Pocket Fleet is also on Kongregate. After celebrating an 11th anniversary, Eyezmaze has released a new game: Grow Maze. If you persevere ardently, you’ll be able to discover all its charms and whims. When Twinbeard Studios’ Frog Fractions was released in October, I played it for only a few minutes before dismissing it as a cute parody—a humorous dig at the multitude of terrible edutainment games. Luckily, I was recently persuaded to check it out again and was rewarded with an extremely unique and surprising experience. I don’t want to say too much about the game for fear of spoiling it, but I will say this: It’s worth finishing. 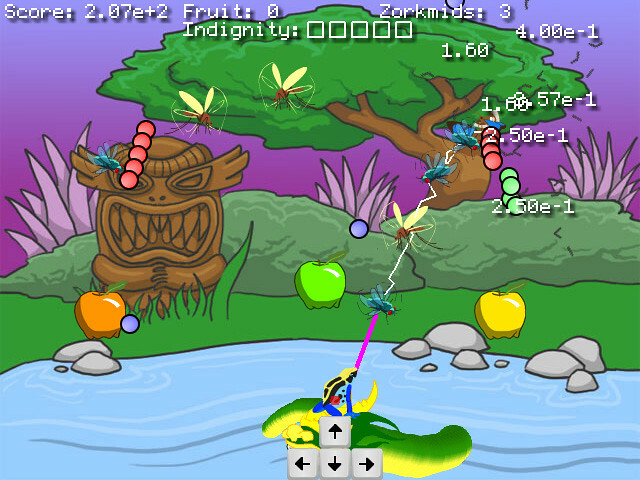 Frog Fractions is free to play on the game’s site, so hop on over and try it out for yourself. Colin Northway’s physics puzzler Incredipede came out last week. In this unique game you guide a little cyclopean creature named Quozzle to the sunbeam at the end of 60 pre-made levels or a potentially infinite number of user-made levels (currently there are over a hundred in the in-game level browser). 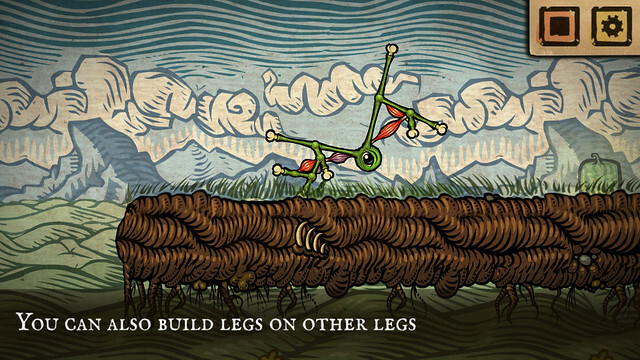 The challenge arises from controlling Quozzle’s legs, which are built out of long bones and squishy muscles. Some levels will give you a pre-made body and task you with the movement only, whereas others will let you place musculature or even bones. Needless to say, solutions to Incredipede’s levels can be quite varied and the free-form nature of the puzzles are a big part of the game’s appeal. Overall, the production values are quite good, with attractive woodblock-style visuals by Thomas Shahan and sound effects by Super Meat Boy’s Jordan Fehr. Perhaps most impressive, however, is the game’s interface, which is quite intuitive, whether you’re adding legs to Quozzle or developing your own level to share with other players online. This is especially important given how often you’ll be tweaking your creations, which, if you’re anything like me, will veer toward the break-dancing, as-many-legs-as-possible variety. Fans of Colin’s first title, Fantastic Contraption, will feel at home with Incredipede, as they are similar games at heart. Incredipede is available for $15 direct or from GOG.com. An 11-level demo is playable on the game’s website but does not include any of levels where you get to design your own Quozzle. Run, by Chris Whitman (also known to old-time forum folk as “I Like Cake”), is a game that you can play for free or buy. 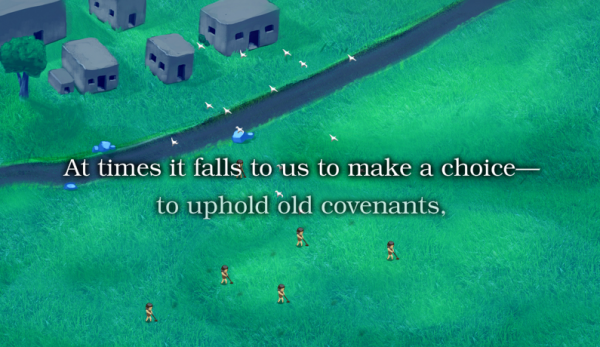 He describes it as an existential horror farming game. The game cycles between three modes of play.